I had been on a classic kick lately and my girlfriend said she loved the play version of this novella so I decided to pick it up and try it out. I am not going to lie that another reason I got this book is because I liked the movie, The League of Extraordinary Gentleman. I just want to be clear though that I am only reviewing the novella, The Strange Case of Dr. Jekyll and Mr. Hyde, and not the rest of the book. I have to admit I was a little skeptical about this book when I started to read it because of the old style English that was being used. It was a little difficult to understand the style of writing in the beginning but eventually I was able to get used to it. I loved the theme behind the story which is the conflict behind mankind's own sense of good and evil and the inner struggle that people face on a day to day basis between these two sides of their personality. 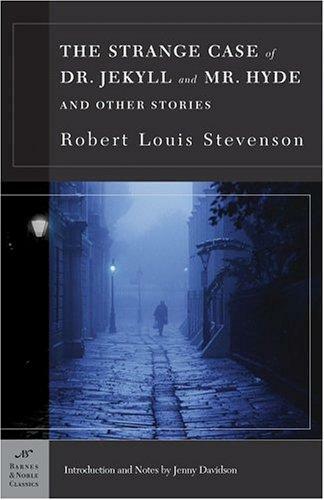 I do think though that Robert Louis Stevenson could have easily turned this amazing novella into a great normal novel. Overall I would give this novella a B+.